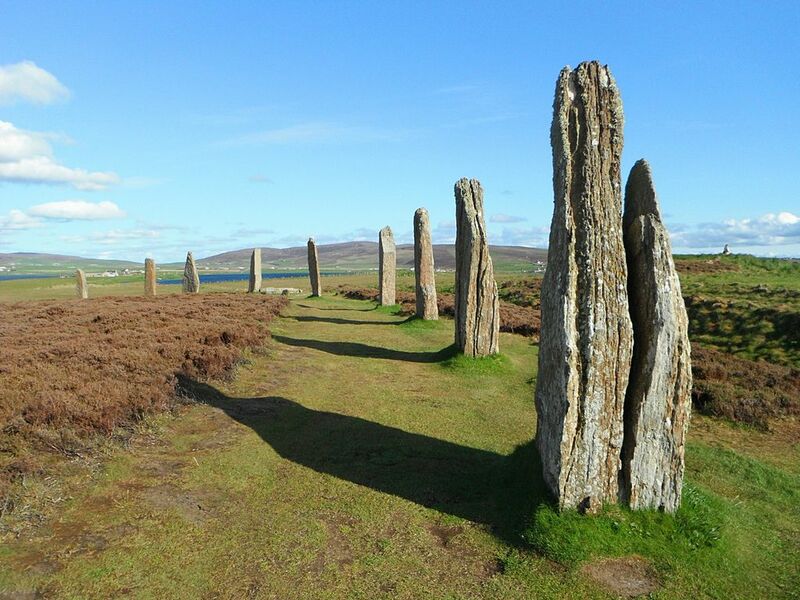 The Ring of Brodgar stone circle is an iconic symbol of Orkney’s prehistoric past. 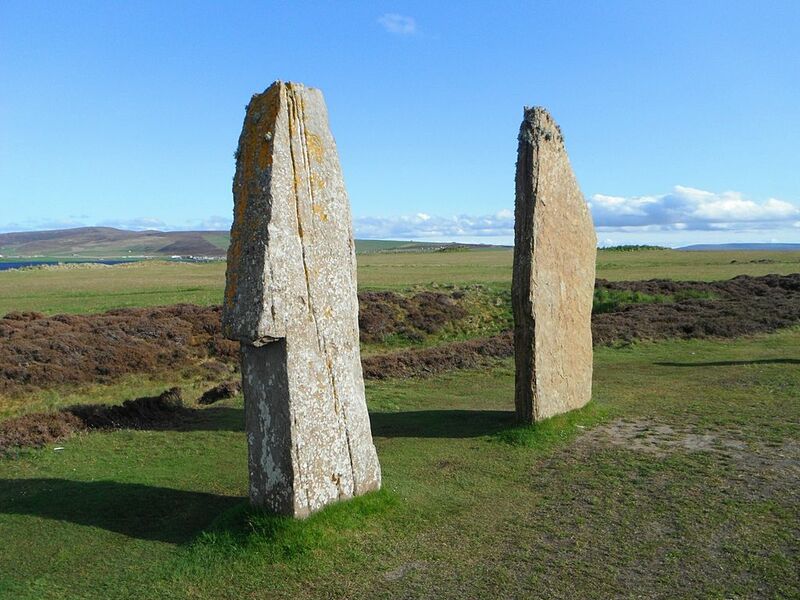 Twenty-seven stones remain of an original sixty in the impressive stone circle, known as Ring of Brodgar or Brogar and set up on a slope facing east. The stones are part of a henge monument, and the surrounding ditch and bank can still be made out, with entrances on the NW and SE. 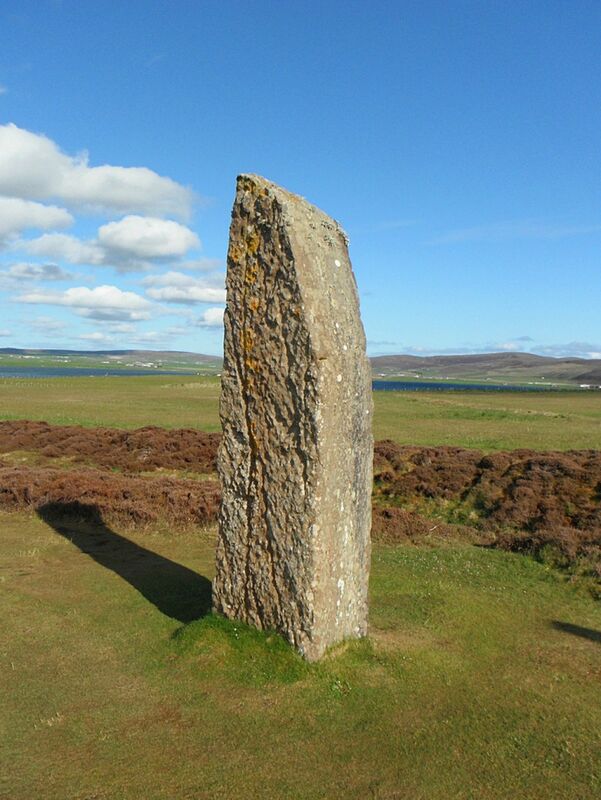 The circle had a diameter of about 110 m (120 yards) and the tallest stone today measures 4.6 m (15 ft). 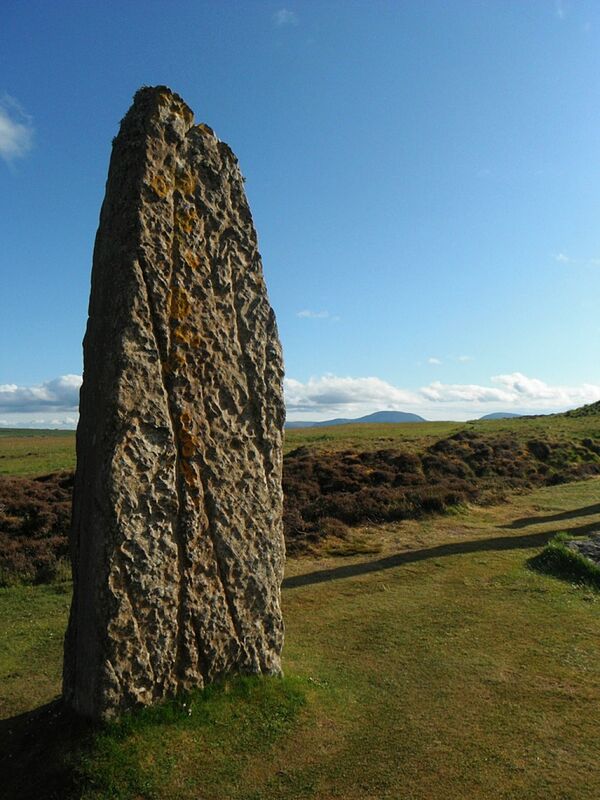 The stones themselves are of red sandstone. 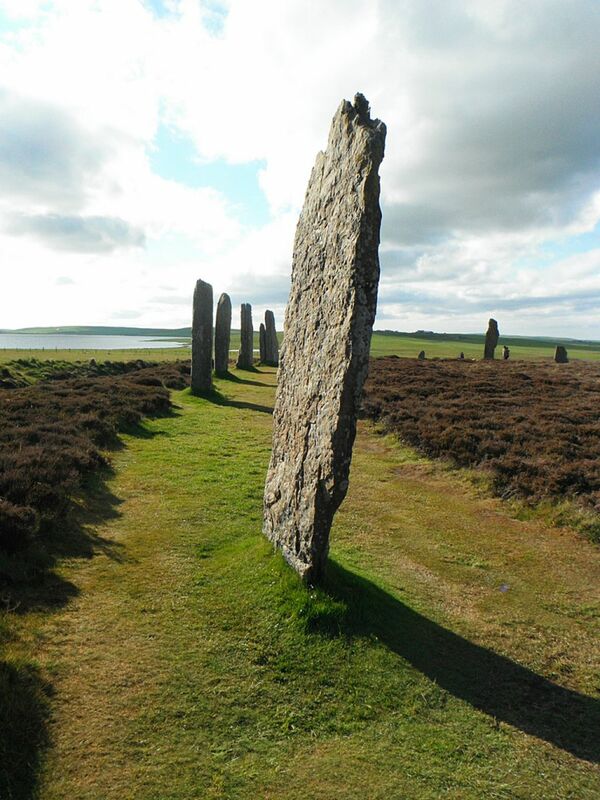 The Ring of Brodgar was constructed around 2600BC, within a hundred years of the Great Pyramid of Cheops in Egypt. 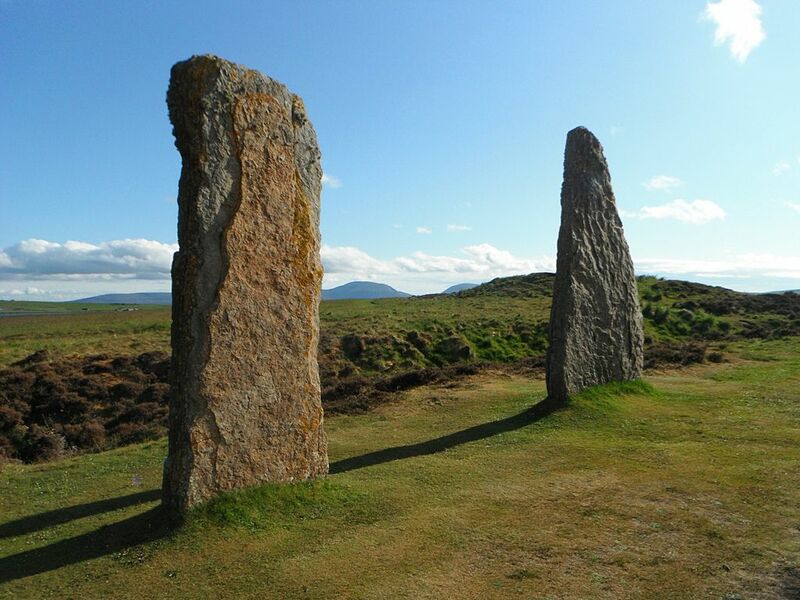 Free walks around the site are provided by Historic Scotland rangers.